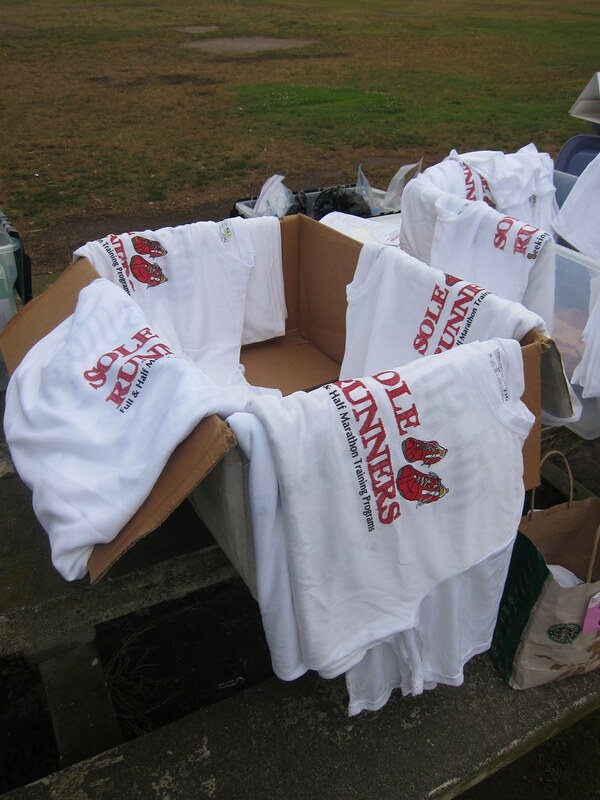 The Green Girl helped distribute Sole Runners technical shirts at the registration table at Marina Vista Park this morning. I also received a second blue mentor shirt. As I was registering one of the new members, she asked me how long I'd been with the Sole Runners and I surprised myself when I realized I'd been training with the group since 2008. 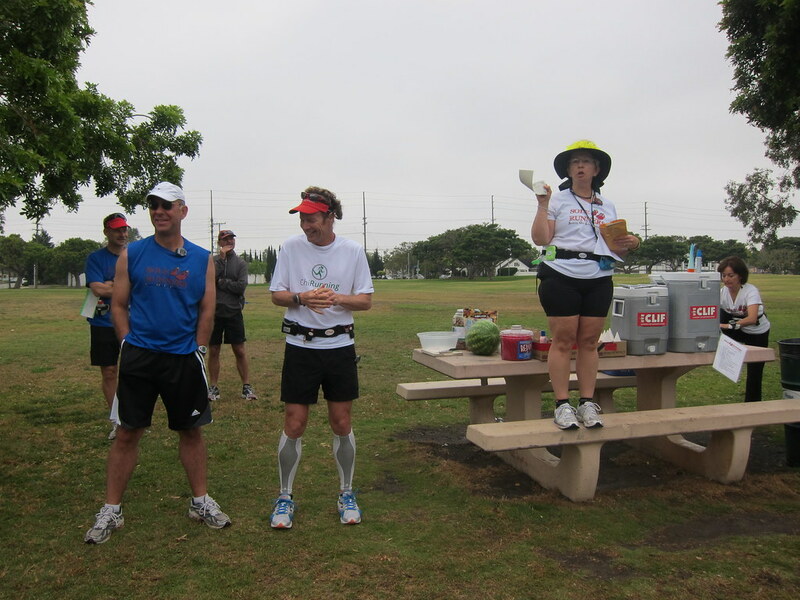 After Coach Steve's announcements, LeAnn explained the Sole Runners banding system. Colored bands were distributed for participants to attach to their hydration belts. Green indicates you are training for a half marathon and yellow means a full. The mentors also verified emergency contact information had been provided for each Sole Runner before they received their training band. Coach Steve led the ChiRunning body looseners before we all headed out. By the time we started running, the morning had warmed slightly but thanks to the marine layer, it was still comfortable and not too hot. I ended up running with a new Sole Runner, Veronica. She mentioned she had never run far enough to reach the beach so it became our goal to get her to the ocean on this run. I was so proud of her when she not only made it to the beach but also managed a negative split on the way back. 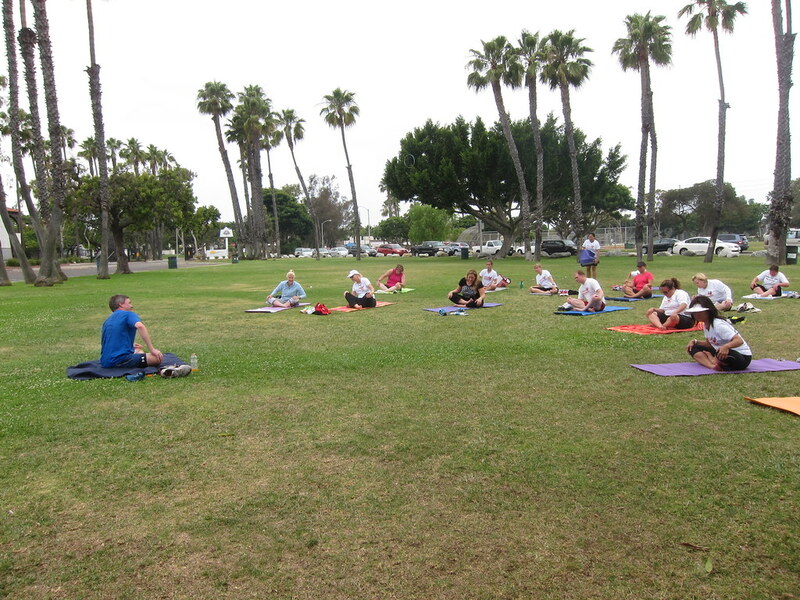 Post-run, Mentor George led the Hillbilly Yoga. I love that Hillbilly Yoga not only has unique pose names but is flexible enough to allow the names to evolve. More than one Hillbilly Yoga pose has been renamed based on a suggestion from a Sole Runner. On my way home from the run, I stopped by Sports Authority to look at capris. I spotted the Under Armour Rain. Sleet. Snow. Wind. Brave the run. shirt I'd been admiring on other runners at races. It was on the sale rack so on impulse, I made the second running shirt purchase of my life. 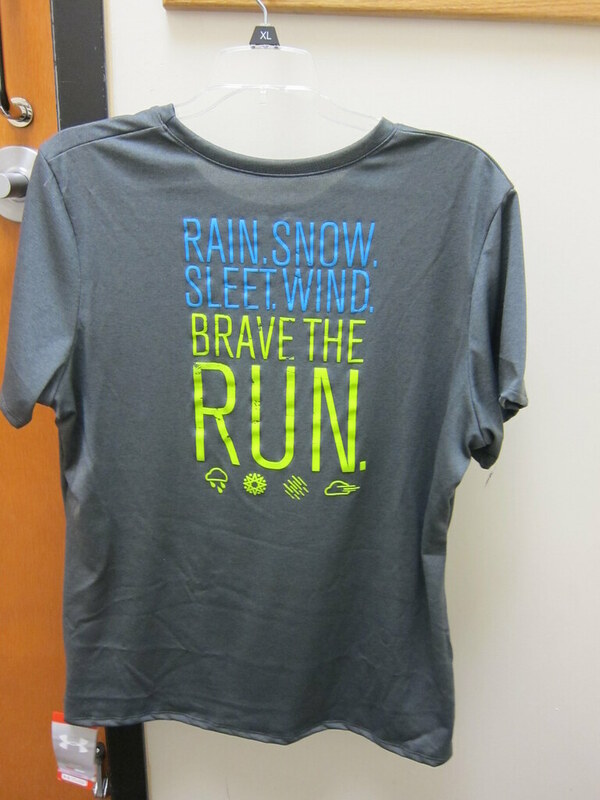 Now, in addition to my Run Run Run shirt, I have this awesome new shirt! Cute shirt! I have so many race shirts that I can't seem to justify actually buying a shirt LOL. GG! The running shirt is definitely cool!!! I like the shirt. Awesome to be a part of your group for three years. Love the running shirt. I never buy them either because I have too many race shirts. Your running group looks like a lot of fun! I would SO love to live somewhere that had a running group. It sounds like so much fun! That is great you have been a part of it for so long. The Sole Runners is such a great group for you G.G. I love that shirt too. Great shirt! And it sounds like a great running group too! Love the new shirt! And the hillbilly yoga looks like a lot of fun. I wish my small town had a running group. Love the shirt and being on sale is even better. Your running club sounds wonderful! love the shirt! Great choice! Oh, that shirt is pretty cool - and bonus for it being on sale, yay!! 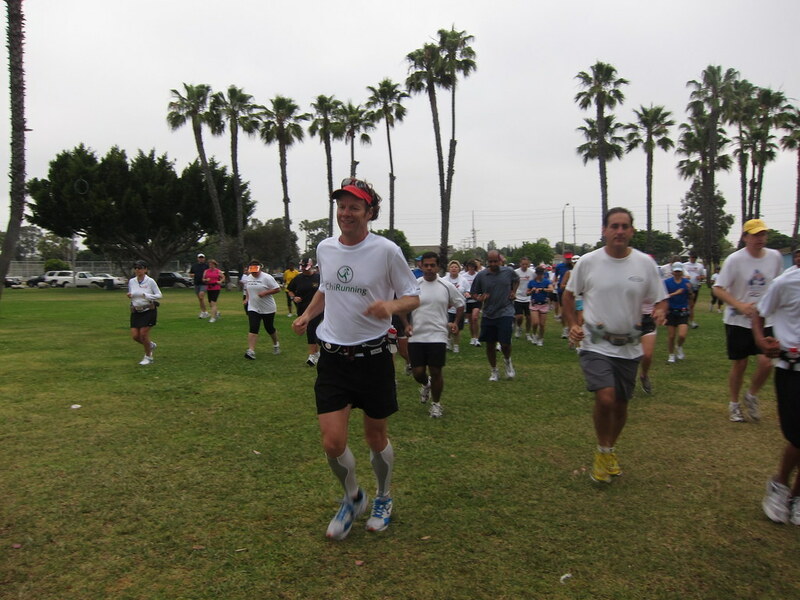 Love how involved you are with the Soul Runners!